As you’ve probably gleaned from our other educational information, what you feed your pet directly impacts its health. Nowhere is this more true than a dog with mange. A healthy diet is important to the recovery of a sick pup and helps ensure good health for the long haul. So, what should I feed my dog? Almost daily, folks ask us that. That’s not an easy one to answer. Actually it’s one we won’t answer. We are pretty darn knowledgable about killing mites naturally but we are not nutritional experts. We do not make specific brand recommendations or endorse third-party products. Part of the reason for this is ethics, part is that there is no one perfect food for everyone. You have to do the homework and make the best decision you can for your pet. The truth is there is no mange cure food. Your goal should be to give her the highest quality, grain free, natural nutrition possible. This really should be standard for every dog but anything less is not an option for an immune suppressed dog. Supplements are part of the equation but no pill can make up for crummy nutrition. A combination of natural diet, vitamins, minerals and herbs supports the immune system while treating the skin. Feed no wheat, grains, oats, corn or fillers. These cause reactions that lower immunity. Plus they are cheap poor quality substitutes taking the place of good nutrients. And they’re loaded with carbs (more on that later). There are other junk ingredients that are immunosuppressive and full of garbage that no dog needs in its system, let alone a sick dog. These bog the dog’s system down and rob the food of quality nutrition. Avoid toxic preservatives, “animal digest” (which is all different parts of animals not used for people food – use your imagination) and other toxic crap. Always check ingredients for preservatives, dyes, by-products, etc . If you don’t know what something is, look it up. You need to do a little background checking on what the words on the label really mean because pet food manufacturers pull some pretty dirty tricks when they label this junk. Limit carbohydrates to the lowest amount possible. The main concern as carbs relate to mange, is that any carbohydrates that are not used immediately get converted to sugars that feed yeast. Yeast is the enemy because it’s what Demodex mites eat. Moist foods tend to have less carbs because they don’t need a binder to hold them together like dry food. Kibbles require a carb source as a binder to hold them together so they are a necessity. Popular non-grain binders in natural dog foods are sweet potatoes or rice (brown is better than white) but they have a more carbohydrates that potentially help the mites thrive. The better choice is the one with fewer carbs (chick peas/Garbanzo beans for example). 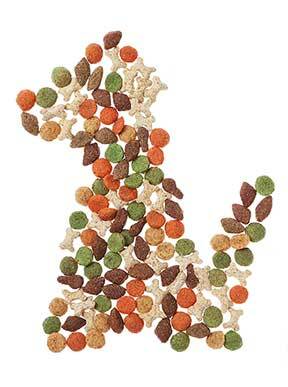 DOG FOOD ADVISOR Lists ingredients and ‘scores’ for all brands and products. 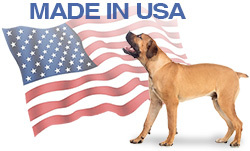 Unbiased information from the product testing lab at Dog Food Advisor. HEALTHY DOG TREATS Provides great recipes for making low-carb treats to help get all those supplements into your dog! HOW TO CHOOSE YOUR PET’S FOOD 2-part video from Dr. Karen Becker. HOW TO READ DOG FOOD LABELS PuppyWire helps unlock label secrets. RAW FOOD BASICS Raw food basics and your current dog from the experts at Only Natural Pet. RAW FOOD RESOURCES Great resources from Raw Food Sources. Just do the best YOU can. There is no perfect answer here. 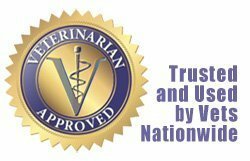 Give your pet the best nutritional and immune support you can afford in both time and money. This entry was posted in Cheyletiella Mange, Demodectic Mange, Immune Support, Mange Tips & Tricks, Our Dogs and Food, Sarcoptic Mange, Skin & Coat. Bookmark the permalink.